Other parts of the Nineveh Plains have seen the slow, cautious return of Christians back to their homes. But Mosul tells a very different story. Before ISIS, several thousand Christians lived in the city. Today, less than a hundred have returned. A lack of community trust combined with absent security and a thoroughly ruined city is too much for many. Even while many Christians from Mosul will not permanently return, it is common for them to make frequent trips to the city. Though destroyed, Mosul remains the administrative capitol of the governorate. Whether Christians want to or not, the daily workings of life often require trips to the city. Akram is another Christian from Mosul who refuses to live there, but travels to the city in order to maintain employment. When he looks at the city he once called home, all he sees is sadness and painful memories. “We as Christians don’t have a future in Iraq,” he said. He is particularly concerned about West Mosul. 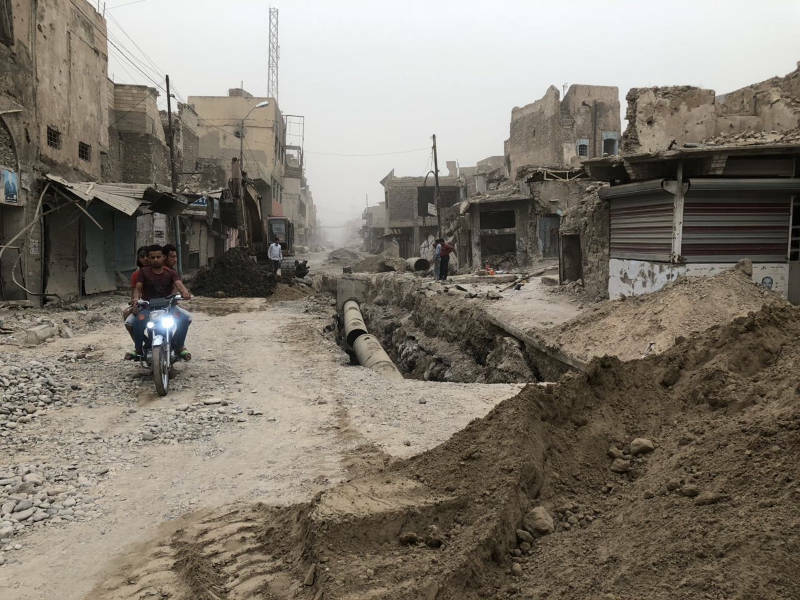 The intense destruction that this city experienced hides the ISIS militants who remain there, threatening the security of the rest of the city and governorate. Without a doubt, the situation in Mosul has improved. It’s no longer run by ISIS. But the wounds that ISIS left behind run deep. Without security or reconstruction, Christians simply aren’t taking the risk to make Mosul their home again.